Irish actor Moe Dunford is certainly clocking up the acting roles: he has landed a lead role in the History Channel’s blood thirsty saga Vikings. Terry McMahon's new film, Patrick's Day, has won the Manhattan Short Feature Film Project for 2015 and as a result will screen in 50 cinemas across the US. 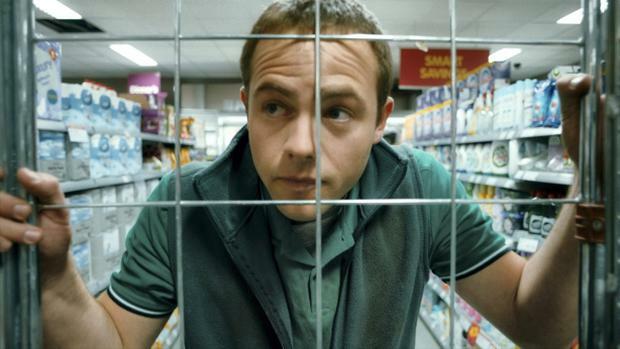 The drama, which stars Moe Dunford as a young man with schizophrenia who falls in love, has been garnering rave reviews on the festival circuit, prompting the Feature Film Project to select it for screening on the cinema circuit. Between March 5 and 8 2015, Patrick’s Day will be screened in 50 cinemas across America and audiences at each venue will vote on whether or not the film should return to the cinema for a theatrical release in 2015. If the majority vote yes then, if the producers choose, the film will return to that cinema for a series of screenings that year. Director McMahon said “The international embrace of Patrick's Day has been phenomenal but to win this award on the same week as our Irish cinema release is almost overwhelming.